Losing one or both of your parents can be an incredibly difficult time of life. Once your parents pass away, you have thousands of memories that cause feelings of happiness and sorrow. The most agonizing truth that sometimes gives rise to feelings of regret is that there will be no going back in time. Regret is a natural reaction as you start thinking of things you would do for your parents if you have the chance. You might also regret not spending more time with them. However, what if there was a way to make yourself feel better by doing something for your parents even after they have passed away? Your parents, like all the other human beings on the earth, must have had numerous wishes and dreams. Towards the end of their life, they must have thought about the things that they wanted someone to do after they leave this world. This article is for all the children out there that have either lost one or both of their parents or struggle with the idea of their parents leaving them one day. 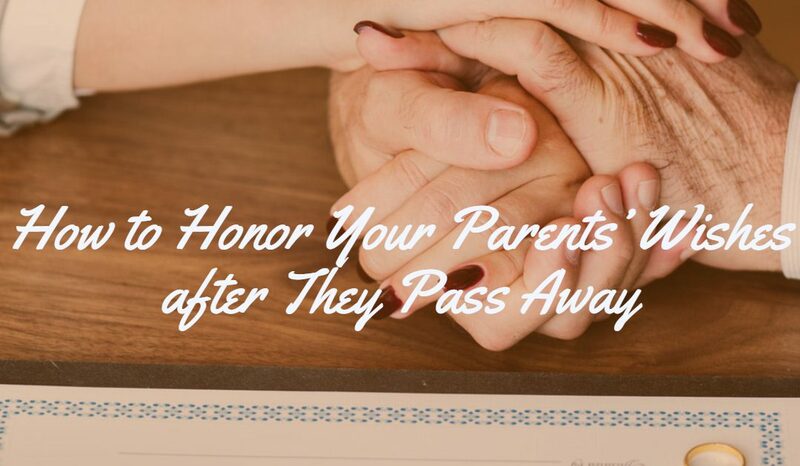 Whether your parents are alive or deceased, after reading this article you will learn that you can gain your parents’ satisfaction even after they have passed away. No matter how hard it is for you to talk about death or think about life after your parents, you should make sure that you address this during their lifetime. Without communicating with them about their afterlife wishes, you will keep wondering if they want you to do something for them after they die. Therefore, we recommend that you discuss their funeral expectations, their worries, their monetary obligations, and their wishes if any. 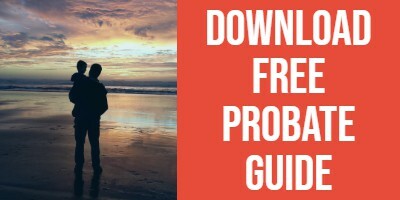 This is important since you might be unaware of your parents’ feelings about other people in their lives if they have any debts to take care of. You should also discuss with them where they would like to be buried and if they have any specific wishes related to their funeral. There might also be people that you do not know about but are very close to your parents. Ask your parents about everyone who should be made aware of the passing and how to reach them. Asking your parents during their lifetime about what they expect from their children after their demise is the simplest way. By doing this, there will be no confusion or regrets left. It is also highly satisfying since the children never have to wonder whether they could do more to honor their parents’ wishes. There are also many online services that you can encourage your parents to use to make all their after-life wishes are honored. These services let people save their digital assets and leave their notes and requests for people they care about. Lastly, just by asking your parents how you can honor them after their demise will make things easier for you. Also, while you are having such discussions, it is a good time to share all your unsaid feelings with them to avoid having regrets later. During such a discussion you can ask for their forgiveness and tell them how much they mean to you. Grieving and healing can take a substantial amount of time. However, this period can become easier if you know what to do to meet your parents’ expectations. Here are certain things that you can take care of to honor your parents’ wishes. After your parents leave this world, you should make sure that all their assets and inheritance is given away to whoever was chosen by them. Your parents would have made their will to ensure the financial security of people they are close with. Taking the will into account helps you distribute their most valued items in a way that they would have wanted. Things to Consider: A will can be drafted in the presence of a notary; it can be written by hand or drafted in front of a witness. Some important questions that one should think about before writing a will include, who will be the executor, if you have children and siblings then who will be their guardian if there are items of intrinsic value then who do you want to give these items to. Distribution of Digital Assets: Another aspect that people tend to overlook while drafting their will is their digital assets. These include their account statements, emails, and social media profiles that they keep online. With the advent of technology, people are storing more and more information in the digital form. Hence, it is important that you include digital assets as part of your will. Nominating someone to manage your digital assets will help in paying off remaining dues on your online accounts and archiving any useful documentation, they may be required while executing a will. Probate: By definition, probate is the legal process of validating a will. In certain jurisdictions, a will may have no legal effect until it is probated. Therefore, it is suggested that a will be probated as soon as possible after the death of its owner. If a person dies without writing a will, the court will assign a representative to distribute the property, keeping in mind the local laws. In general, the probate process involves collecting the deceased person’s assets and liquidating their liabilities, paying off their taxes, and then distributing the value to their heirs. If your parents have unpaid debts and obligations, you may want to try to take care of them after they have passed away. This will give you immense satisfaction, as you will take over the responsibility of carrying out your parents’ duties. Also, by paying off their debts, you will prevent others from remembering your parents with resentment and bitterness. Helping them leave with nothing but positive memories and associations for everyone they met or knew. If you have a sibling with special needs who used to be dependent on your parents, you should make sure they are cared for at all times. If you have a solid financial standing, you can solely take the responsibility of your sibling and give them the same love and care that your parents used to. In addition, if your parents had a pet around the house that they loved, you may want to also take care of them after your parents’ demise. Some people choose to get burial insurance or final expense insurance that you can use to pay for the entire funeral or the end of life expenses. This gives children a great advantage, as they do not need to pay a significant amount for their parents’ funeral. However, if that is not the case, you can arrange money and make sure that your parents have the funeral they wished for. If you carried out this conversation during their lifetime, you must know what they would have wanted. However, if you haven’t, you can still arrange a funeral they would have liked by making sure all their loved ones and friends come together to say good-bye and recall their cherished memories. You can also play a song that your parents loved or share with everyone a video recording of them to make the funeral a special event dedicated to remembering them. The greatest fear that all parents hide within is the fear of being forgotten after leaving this world. Parents wish to remain alive in their children’s discussions and memories. They also want to be a part of their grandchildren’s lives through stories and lovely recollections. Being their child, it is your responsibility to make sure that your parents’ legacy continues. If you have kids of your own, you should tell them different stories about their grandparents and what they accomplished during their lifetime. You should also arrange an event every year on the day of their demise and gather all their special friends and family to remember them. Lastly, the most important thing that you can do to honor your parents’ wishes is, build yourself into a positive and compassionate individual. Be someone your parents would be proud of and take care of your happiness. Also, make sure that the whole family stays united even after the parents have left this world. While no one can replace the void left in your heart with the demise of your parents, doing whatever you can to honor their life will surely give you the peace and satisfaction you are desperately looking for.